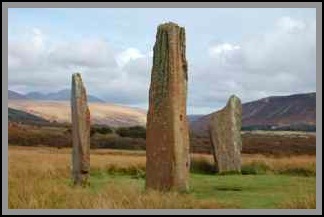 ArranHostel.com is the unofficial website for accommodation on the beautiful Isle of Arran, in the west of Scotland. We are the new management team following the hostel’s major refurbishment during 2009. As we are new to the island ourselves, this site is being built over a period of time as we explore the delights of Arran. So why not subscribe to the site and join in our journey of discovery. The Hostel is situated next to the sea loch at Lochranza in the far north of the island. A much loved hostel, the building has recently undergone a major refurbishment. The improvements include updating all the rooms and adding a heat exchange system and rainwater harvesting. Sleeping accommodation is in bunk-bedded rooms, including five en-suite family rooms. There are also rooms for group leaders, disabled guests and individuals sharing with other guests.. Altogether up to 58 people can be accommodated in 13 rooms. The hostel is spread over 3 floors and includes a new large kitchen, 2 dining rooms and 2 lounges. This allows groups to have their own space away from other hostel guests. The Youth Hostel is popular with a wide range of guests, from individuals and families to school and adult groups. By Easter we hope to offer packed breakfasts and packed lunches. Groups must book well in advance as we can only carry limited stocks. We currently sell a small range of confectionery and soft drinks. This will soon be extended to include a few items of food such as pasta, rice, sauces and soups but we are unable to stock fresh food such as bread and milk. As we have no catering kitchen at the hostel we are unable to offer any cooked breakfasts or evening meals. If organised well in advance local eateries may be able to offer meals for groups, but space is likely to be limited. Please be aware that there is no shop in the village. The only supermarket on the island is 15 miles away in Brodick. Whilst it may have almost become a cliche, the often used ‘Scotland in Miniature’ is an accurate way to describe the island. Like Scotland, Arran is mainly rolling farmland and forests in the South, whilst the North half of the island is very mountainous, due to the geological split running across the middle of the island. The main point of access for getting to the island is the ferry terminal at Ardrossan about an hours drive south-west of Glasgow. Regular ferries take just under an hour to get to Brodick. Alternatively there is a smaller seasonal ferry running from Claonaig on the Mull of Kintyre to Lochranza. Both ferries are run by Caledonian MacBrayne (known by most people as CalMac). Once on the island there is an excellent bus service that can get you pretty much everywhere on the island. Many of these buses are timed to coincide with the ferries. The island is a great location for outdoor activities. With walks of all grades and mountains of nearly 3000′ there is plenty of choice for walkers. For cyclists there are a range of off-road routes as well as some beautiful roads to explore. There are also plenty of other activities to try such as kayaking, fishing and quad biking. For wildlife loversthere is excellent birdwatching, including Golden Eagles. 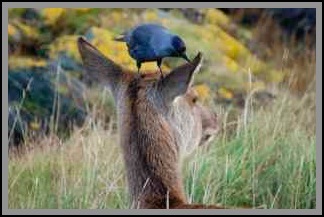 Deer are easily seen in the north of the island and the island is a stronghold of the red squirrel. In the sea there are seals and otters as well as a chance of whales and porpoises. Somewhat more relaxed activities are the tourist attractions including Brodick Castle, Machrie Moor standing stones, a whisky distillery, The Arran Brewery, a cheese factory and much, much more. In fact, one of the best ways to see the island is from the comfort of your own camper van and we recommend, for a touch of added luxury that you try a camper van conversion by this local company. Exploring the delightful island villages, visiting the many craft shops or enjoying a meal are also great ways to spend your day. All in all, there are so many things to do on the Isle of Arran that one visit is never enough. So why not check out the site and plan your perfect holiday. The most demanding and stunning mountains in the UK are nearby on the Isle of Skye. We have strong links with Mountain Motion – experienced mountaineering guides and rock climbing specialists. Why not enjoy a day climbing and scrambling on Skye. Mountain Motion run many Skye cuillin traverses every year. Courses and traverses are on request and they are flexible and can accommodate one day traverses or whole week courses.